North Korea’s state media on Tuesday slammed the United States for an “evil” attempt to maintain sanctions against Pyongyang, accusing President Donald Trump of blocking progress in inter-Korean relations. 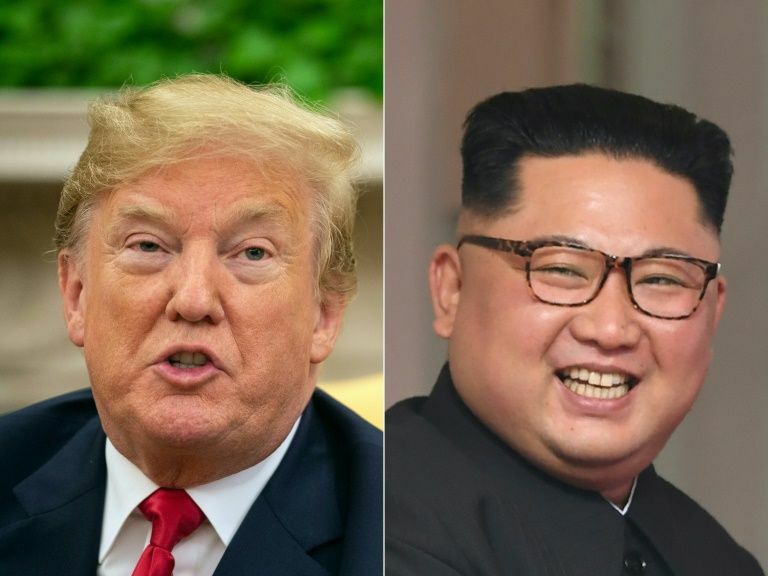 The declaration threatens to upset the negotiations between Washington and the nuclear-armed North, in which Trump is expected to hold a second summit soon with Pyongyang’s leader Kim Jong Un. At their first meeting in Singapore in June they signed a vaguely-worded pledge on denuclearisation, but little progress has been made since then with the two sides sparring over the meaning of the text. Pyongyang has not made any explicit public promise to give up its existing arsenal but has repeatedly called for UN Security Council sanctions imposed over its weapons programmes to be loosened, citing a freeze in its nuclear and missile tests. For its part Washington has been adamant the measures should be maintained until Pyongyang’s complete denuclearisation. Washington was playing a “double game”, said a lengthy commentary carried by the North’s official KCNA news agency, and was “little short of destroying” the rare diplomatic opportunity between the two. “Hostile policy and reciprocity can not go together,” it said, and negotiations would not move forward “an inch with an obstacle called sanctions”. “The US… is responding to good faith with evil,” it added. KCNA said the article, nearly 1,700 words long and titled “What Do Ill-boding Remarks from US Signify”, had been “made public” by Kim Chol Myong. No further details about its origins or the author’s affiliation were given, suggesting that “Kim Chol Myong” is likely to be a pseudonym. But the fact that it was carried by Pyongyang’s official news agency indicates that it has the authorities’ approval. It was published just days after US Secretary of State Mike Pompeo visited Pyongyang and said he had “productive” talks on denuclearisation with the North Korean leader. After an earlier Pompeo visit in July the North issued an angrily-worded official foreign ministry statement condemning what it called his “unilateral” demands for its disarmament, describing them as “gangster-like”. It cast doubt on the prospects for progresseven though it proclaimed “our good faith in President Trump”and prompted the US leader to cancel a scheduled August trip to Pyongyang by his Secretary of State, before a fresh round of visits and a letter from Kim restarted the process. But Tuesday’s declaration went further, implicitly criticising the US leaderwho is known to consider personal relationships important. Without naming Trump, it referred to his comments last week that Seoul would not lift its own sanctions against the North “without our approval”. “Even the White House made such threatening words,” KCNA said, “enraging not only south Koreans but all other Koreans”. South Korea’s dovish President Moon Jae-inwho has held three meetings with Kim this yearhas vowed to honour the UN sanctions but agreed to pursue a handful of joint economic projects with the North. After his visit this month Pompeo said Kim had agreed to allow international inspectors to visit a nuclear test site that the North dismantled in May but did not elaborate on any offers made by the US in return.